Well we had a great summer. 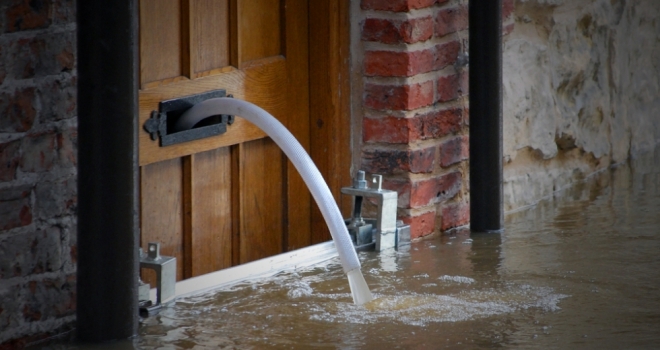 But with worsening weather on our doorstep and the threat of autumn storms battering the UK over the next few months – home owners are being urged to start essential maintenance work now or risk paying 50% premium on tradesmen’s bills. The finding emerged from analysis conducted by the local services marketplace Bidvine.com. It examined tens of thousands of quotes for home maintenance jobs posted on the site from September to November over the last two years. The service with the highest seasonal premium is draught proofing, while other services such as interior painting and kitchen remodeling are cheaper during colder months. Sohrab Jahanbani, Founder and CEO of Bidvine.com, had this to say: "When it comes to cost fluctuations, we definitely see seasonality within the home services industry. The eye-catching result is with draught proofing, where demand – and hence costs – spikes just as the cold weather begins to bite in November. It’s a familiar story with outside areas such as decks and fences. Proper maintenance now will help minimise costly repairs to damage caused by big storms. Predictably plumbers have also made it onto our list with a 23% price increase. As we all know, plumbers charge significantly more during the winter months for boiler repairs, with the average hourly cost for the service jumping to around £80. The change of weather provides an opportunity for savvy home owners who are planning big internal home improvement projects. Bids from tradesmen and the price of materials tend to be more competitive, so holding off kitchen and bathroom renovation projects until December will typically save you between £600 to £1,800. Even if you’re planning to kick off your home improvement project in the spring, December is a great month to source bids from tradesmen and purchase materials. Another trade affected by the changing season is painting. While it’ll cost around 15% more to paint the exterior of your house, interior painting costs drop by around 20% during this time. Getting work done on your roof over the colder months is another task owners should consider – quotes are cheaper as roofers get less work in the winter. Modern advances in scaffolding mean the work can proceed well into the winter months, so it makes sense to hold off on roofing projects for now. Our advice for the coming weeks is to get the projects out of the way that will incur a premium over late October and November, namely draft proofing, deck repair, and boiler repair. But whatever your project, we always recommend getting multiple bids to make sure you are getting a fair price – and here at Bidvine.com help you do just that."